This one’s for you, Gramp. 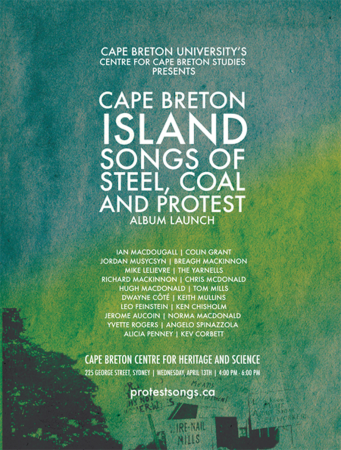 I’m beyond chuffed that the first act of releasing my new CD will be done alongside a passel of my Cape Breton colleagues, unveiling a song I adapted from a poem by the late Slim MacInnis, on the very ground where my grandfather (‘Ed‘ Corbett, 1908-1966) worked with him as a Steelworker and Union leader, and signed the Steelworkers’ Local 1064’s first collective agreement. He would eventually bring Labour support to the building of the Canso Causeway, which he saw as crucial to Cape Breton’s industrial economy. Coming across Slim’s poem ‘Dosco’s Inferno’ was the first window I never had into my granddad’s life, and I’ll be proud to go sing my version on the street where he lived.